It is now time to talk about the effects of the Fall on men in particular. We got into that a little bit in part two, if you remember, but not enough that we could have anything substantial to examine alongside the consequences for women discussed in part three. 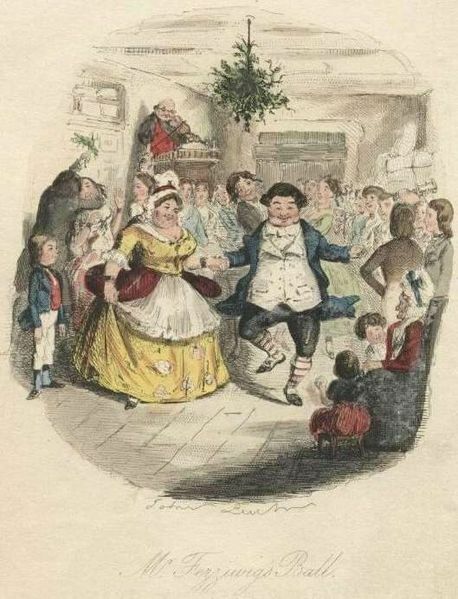 Fans of “A Christmas Carol” will remember that Scrooge is bothered by the light that the Ghost of Christmas Past brings, and asks that the spirit place the cap it carries on its head to diminish it. Besides being linked to the mystery of time, the past is also a judgement. How many of us cringe at the memory of past faults, whether serious or trivial? How often do past embarrassments creep into our minds, causing us to blush? The thing about the past is that it is set in stone. It cannot be changed. The past can be forgiven, but not erased. A person can be redeemed and changed, but past actions cannot be turned into past non-actions. The train of effects set in motion by a particular action can be arrested and fixed, but the action itself cannot be undone. In Scrooge’s case, as well as in ours often enough, to confront the past is to face the forgotten, the wrong turn(s) that led to current problems. Scrooge’s journey into his own past uncovers much that has been repressed — childhood loneliness, among other things. Most significant, however, is a matter of guilt. We learn that he was engaged to a woman named Belle, whom he spurned for the idol of money. Ultimately, Scrooge’s miserly accumulation of wealth and the psychological distance he puts between himself and humanity are forms of protection against his own past — just as humanity’s wars, factions, attachments, etc. protect us against the memory of the Fall. We can probably assume that the sequential location of the past among the three modes of time is not the only reason for the Ghost of Christmas Past having the first spot in Scrooge’s journey of redemption. Oftentimes, it is in facing the past, acknowledging the problems that lie hidden, that we get the ball rolling on the healing process (after all, how are we going to know how to heal if we don’t even know what to heal?). That is one of Christianity’s greatest secrets. In Genesis, we have the revelation of both our origin — God’s all-loving creation of the world out of nothing, culminating in the creation of mankind, with whom He desires fellowship — and our root problem — mankind’s disobedience to and estrangement from his Creator and Father. When we turn to God and acknowledge this, as well as our own individual sins, then we can begin to heal. Not only that, but God Himself comes down to us to get everything started, before we even take our first steps. That’s the real Christmas present. Those of you who read the first part of this pair-o’-posts remember that it dealt with “Home Alone’s” portrayal of both family tension (traceable to the Fall in Eden) and the goodness and importance of the human family, the latter being shown by what happens to Kevin McCallister when he is separated from his own family. What about redemption? Is the rift that opens up between Kevin and the rest of his family healed? If so, how? As I said in the first post, “absence makes the heart grow fonder” on both sides. Let’s look at how this works for each in turn. Any parent could relate to Kate McCallister’s anguish as, while flying over international waters, she learns that she and her family mistakenly left her 8-year-old son home by himself. Furthermore, any parent could feel Kate and her husband’s (John Heard) frustration when the family repeatedly attempts to contact the neighbors to inform them of their emergency, only to find that they have all left for the holidays. As the movie progresses, we follow Kate’s frantic and seemingly hopeless quest to get back home to Kevin. She is looking for a flight to Chicago right in the middle of the Christmas rush, when there are very nearly no flights available to…well, anywhere. The rest of the family, in the words of Megan McCallister (Hillary Wolf), is “rotting” in a Parisian apartment worried about the helpless little brother they left behind. Certainly, a situation like this would be enough to change one’s mind about even the brattiest younger sibling. But it is Kate’s journey that should intrigue us most. In the mother’s search for her son, we see the breadth and depth of human love…particularly within the family. We cannot help but feel the extent of her motherly devotion when we see her travelling from Europe back to America and then all over the States, bartering her way from airport to airport, tirelessly and adamantly arguing with anyone who tries to tell her she cannot catch a flight home, and going without sleep for nearly sixty hours in the process. If we are honest with ourselves, we must admit that this level of dedication and self-exertion is necessary (even if not always to that extent) whenever there has been a major falling-out between two parties (family, close friends, a romantically involved couple, etc). Whenever something has happened to upset the relationship, someone must go out of his or her way to restore harmony. We could think of it as being like a substance that has been stretched too far in a certain direction. Sometimes, the only way to put it back to normal is to stretch it a bit farther than normal in the opposite direction. It is not good for … man to be alone (Genesis 2:18). Kevin learns about the value of belonging through aloneness, of interdependence through isolation, of family through solitude. Almost immediately afterwards, he experiences what I would call “mutual metanoia*” in an encounter with his neighbor, “old man Marley” (see my December 5 post at https://intothedance.wordpress.com/2012/12/05/home-alone-a-great-work-of-art/ for more information on that). Upon learning that Marley has long been estranged from his son – and, by extension, from his young granddaughter – because of a heated argument they had years before, Kevin strongly encourages him to give his son a call and see if reconciliation might be possible. Through the encouragement of an 8-year-old, Marley overcomes his fear of the possibility that his son won’t speak to him, and reconciliation does indeed ensue. Finally, I think it’s fair to say that Kevin’s appreciation of his home and the family to whom it belongs sharpens when he has to defend it against the invasion of Harry and Marv, the “wet bandits.” Bravely and ingeniously confronting the burglars from whom he had fled in terror earlier, Kevin learns selfless love through the exercise of courage. It is interesting that this stage of Kevin’s journey comes immediately after the conversation with Marley. It’s as if the hope he gains (namely, for family reconciliation) from this exchange strengthens his resolve. Let’s imagine for a moment that the events of “Home Alone” were factual. All things considered, the accidental separation of Kevin and his family could be seen as providential. Through this unhappy circumstance, God brought about healing for a family in need of it. Such things are reflections of the ultimate Unhappy Circumstance – the immolation of God’s only Son upon the Cross – whereby the rift between God and man (and, by extension, the rift within each human person and among the whole human family) was healed. That is what Christ’s Coming (Christ’s Mass) was all about. And I think it is fundamentally for that reason that “Home Alone” is such an endearing Christmas movie. *”Metanoia” means “repentance.” This signifies a change of direction – we could think of it also as a change of heart and mind. All images obtained through a Google image search.